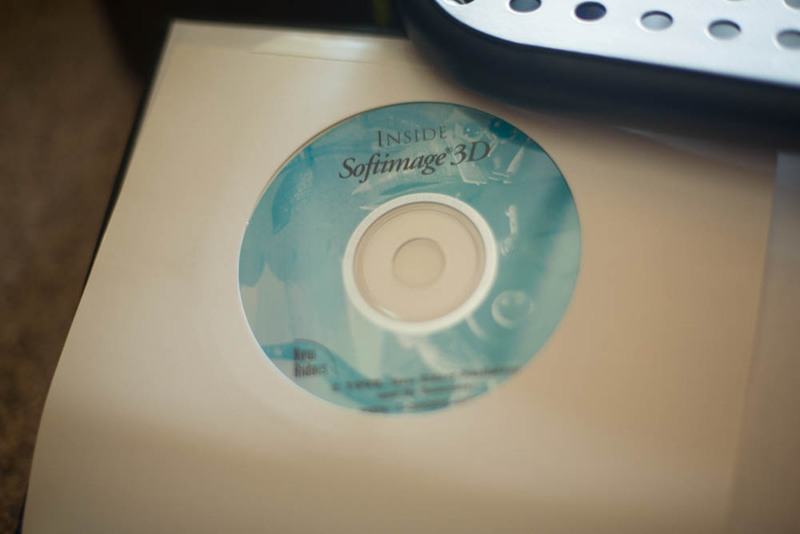 At the time I was really developing as an editor, but I spent countless hours learning Softimage, and thought I would eventually make my living creating CGI. My career eventually went the editor/producer route, but to this day, I still spend a good amount of time keeping my 3d skills up-to-date. 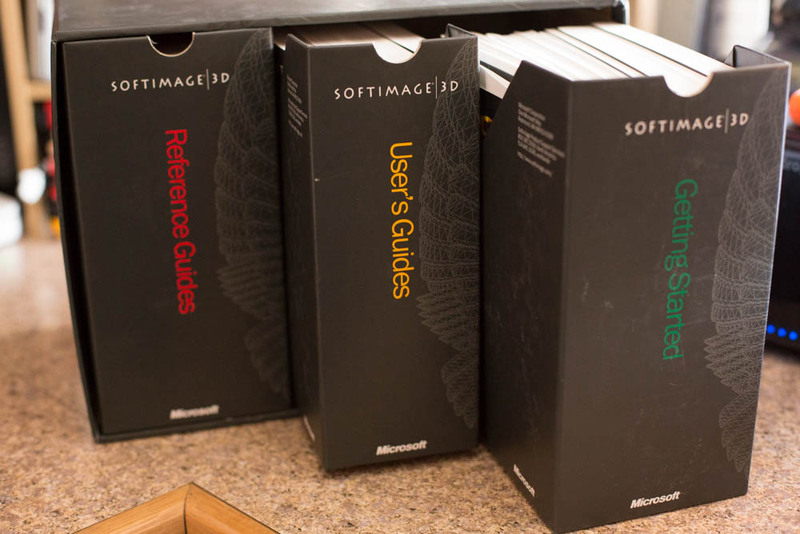 Today my software of choice is Maya, but there is a soft spot for Softimage. 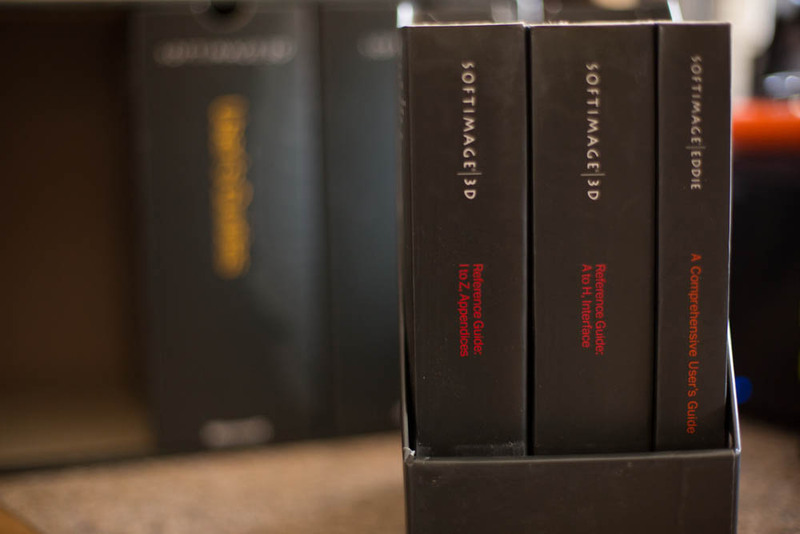 So much so, that I saved my copy of all the original software and documentation, as you can see here in these pictures. I entertained the idea of finally discarding them this past summer, but I am so glad I decided against it. I may do very little 3d animation on a professional level anymore, as I just do not have the time, my love for these software packages has not dwindled at all. Thats a lot of paper. Very Heavy.